Replacing your appliances can be an expensive business ... especially if you want something stylish, well-made and roomy. But if you've got the space, we might have the solution: The New York City Office of Mental Health is getting rid of one of its morgue refrigerators. Measuring 6 feet high, 6 feet wide, and 8 feet deep, the fridge is built to last, with chrome fittings and a premium stainless steel finish. Best of all, it's currently going for about $200 on eBay. Unfortunately, you have to pay for delivery. 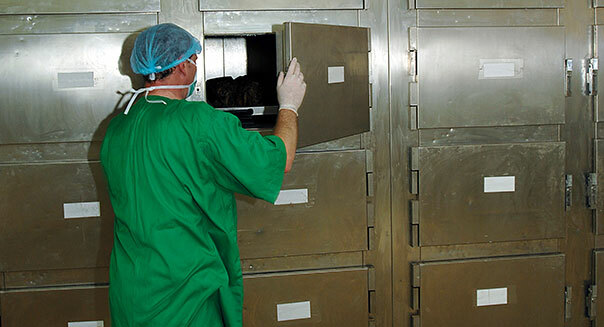 Designed to hold four bodies, it's pretty clear that the morgue fridge will probably fulfill most of your refrigeration needs With a little retrofitting, it would make a perfect wine cellar or beer chest -- not to mention a great place to stash your perishables. 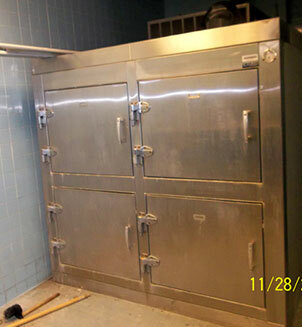 What would you do with a surplussed morgue refrigerator? Tell us in the comment section! Bruce Watson is DailyFinance's Savings editor. You can reach him by e-mail at bruce.watson@teamaol.com, or follow him on Twitter at @bruce1971.